When I first started out in system research a year ago, I was told that in this business, if you can achieve return with lower volatility, you will definitely attract a lot of people’s attention. Since then, I’ve found myself to leaning towards strategies with lower volatility, usually achieved through proper volatility management. 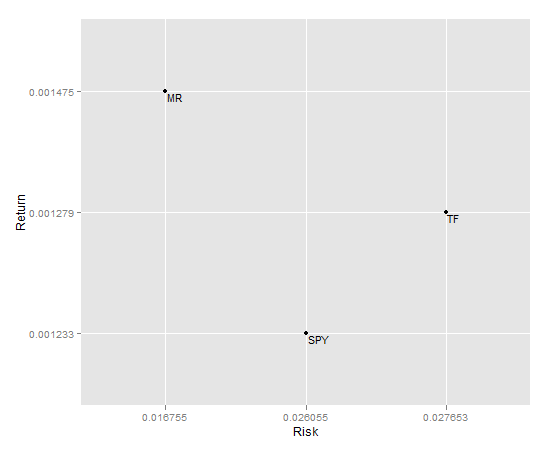 In this post, I’d like to take a look at portfolio volatility by using some tools from portfolio theory. I’d like to show that through peeling into volatility one can better manage their portfolio. There exists a fine line between academic finance and practitioners of finance. The opposing ideas are whether the markets are efficient or not. I am not going to dive in to the discussion of this, but I stand to reason that there are no rules or equation to the markets. They are ever changing, therefore, I believe that one should treat every concept as tools. 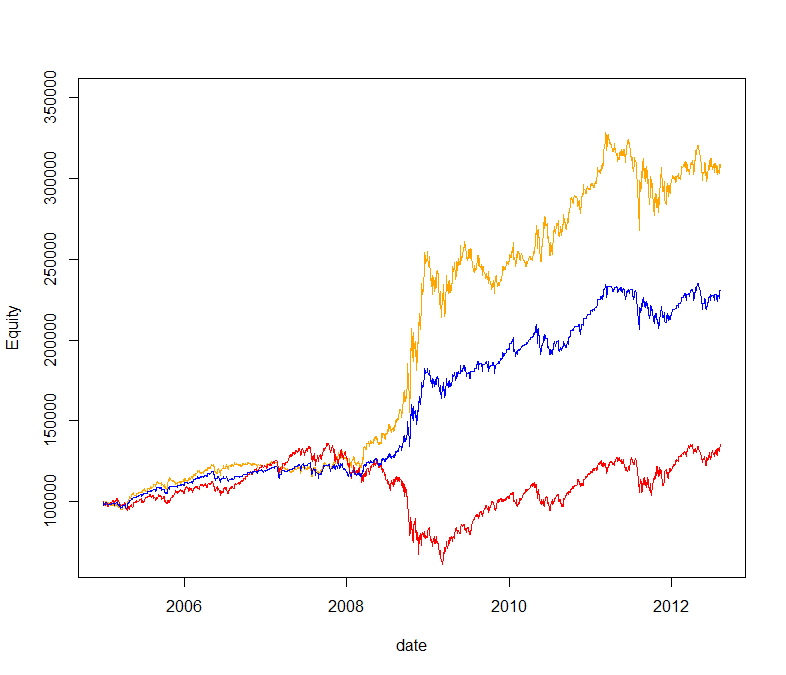 A bit of equations…portfolio variance is defined by the following equation. I am only going to use a two asset class example to avoid bringing in the use of covariance matrix. In my opinion, the above equations capture a lot of information that can be used to manage volatility. At any given time multi market strategies will have more than one position. If you are able to position size each position so that each one contributes equally to overall portfolio volatility, you will have much smoother balanced and diversified portfolio. In the following graphs, I calculated according to the above equations how Bonds and Stock contribute to aggregate portfolio variance. 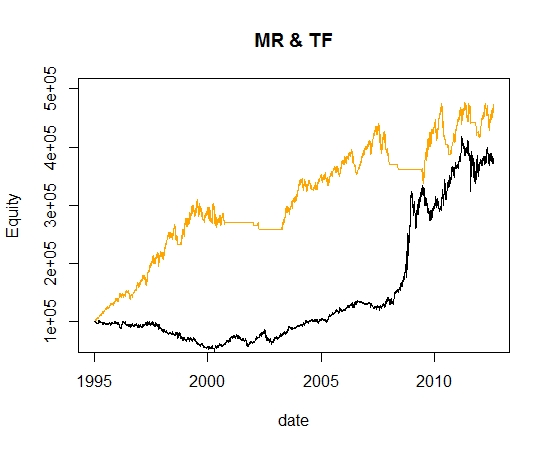 For stocks, I used SPY and for bonds, I used IEF, both are exchange traded funds. 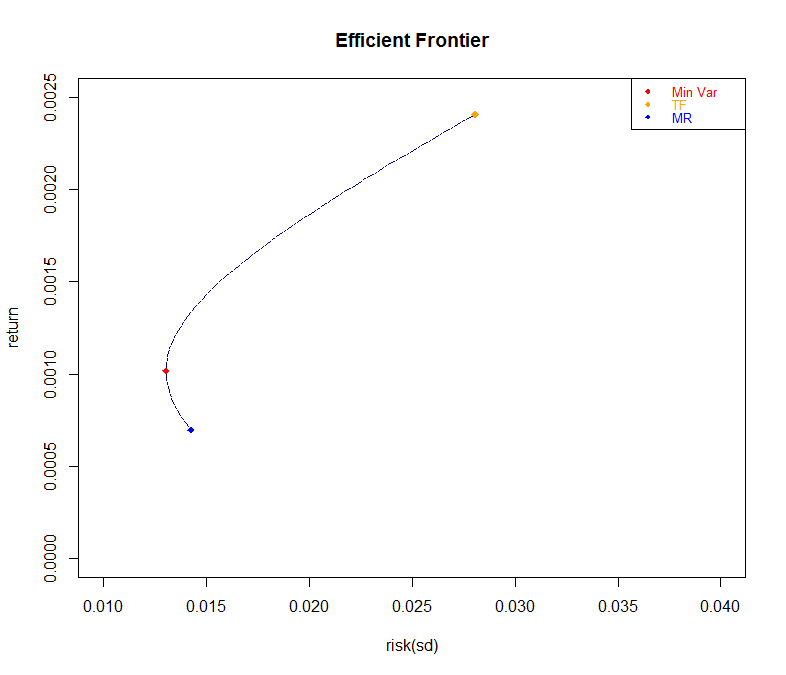 This is a rolling 252 day graph with traditional 60/40 allocation. 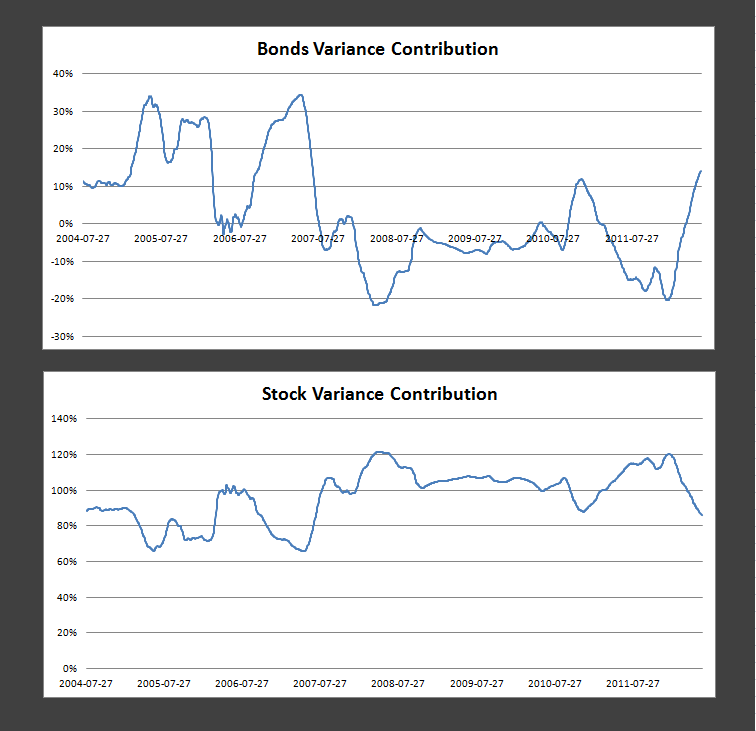 From the above graph one can infer that the volatility contribution is not equal and at times, you will see that stocks will contribution more than 100% while bonds contributed negatively. The above graph also gives a pretty good market timing signal. When bonds contributed negatively, it seems that the market is in turmoil and vice versa for stocks when it contributed more than 100%. I hope through this, the reader will be able to understand volatility more and look and just how it affects your portfolio.